Doodling is a great, fun way of expressing yourself. But because everyone can do it, it's often underrated as an art form. Some people do not consider doodling as a serious art form. However it produces the most personal and stunning work created by an artist. 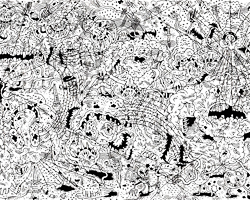 Yet doodle art is a serious business for many - and as these 24 stunning examples prove. 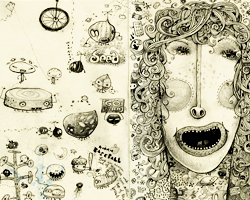 Combining child-like doodles with expressive illustrations, they show how doodling be used to create beautiful and arresting designs. Connect to Art has presented great examples to inspire you. 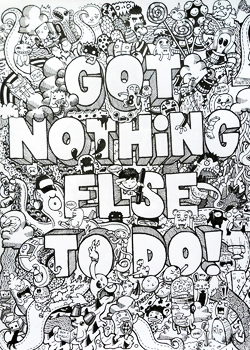 Kerby Rosanes: Graphic designer and SEO specialist with a passion for art and doodling. His work, on his striking attention to detail makes each piece unique. 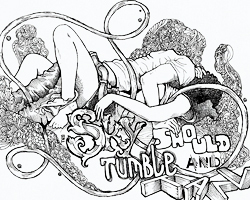 Jabson Rodrigues: Named 'Falling', the illustration features two people intertwined by Rodrigues' gorgeous, fluid doodles next to the words 'Sky should tumble and fall'. Craft, drawing, and fashion combine in one amazing project. 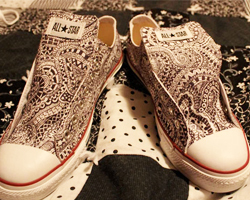 Lisa Krasse has combined her love of doodling with a love of Converse shoes to create these amazing sneaker designs. 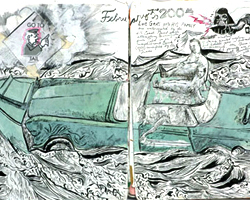 Doodle taken from Chris's book '1000 days of drawing' describing himself as an 'illustrator, formerly known as designer', Chris is based in New England Chris embarked upon a 'daily drawing' challenge back in 2007. New Jersey illustrator Jim Bradshaw. he works as an art director but by night Jim tackles all things creative and is never far from his Moleskine. Japanese artist Sagaki Keita specialises in recreating classic masterpieces by covering them in these gorgeous child-like doodles. You realise that Sagaki has taken the time to ensure they blend together perfectly. 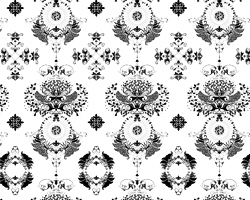 Davivid Rose describes himself as a poet and hallucinographic designer. Davivid Rose also goes by the name of jdy333 and describes himself as a "poet and hallucinographic designer". 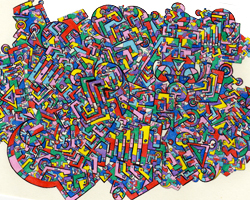 Ted McGrath basically represents what doodle art is all about. It's about the imperfections that come together to make a stunning creation. 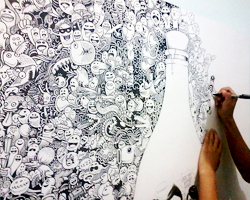 Lei Melendres' page-filling doodle art is fun that you can stare at for ages!. 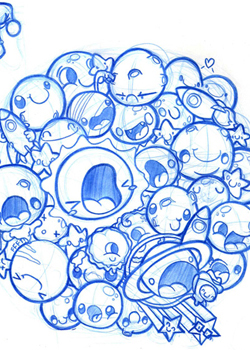 When artist Lei Melendres has nothing better to do, he doodles. And this is just one of many pieces he has created as a result. Gorgeous illustration by artist Matt Williams aka Uberkraaft. 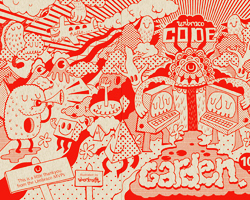 This colourful, fun and playful artwork was created by freelance illustrator, artist and designer Matt Williams aka Uberkraaft for the Umbraco community. 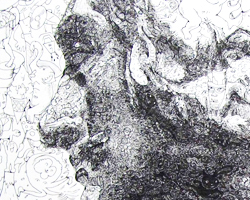 Artist Rowan Tedge's artwork has crazy amounts of detail. Super-busy is the chosen style of talented artist Rowan Tedge, who, believe it or not, doesn't draw for a living. 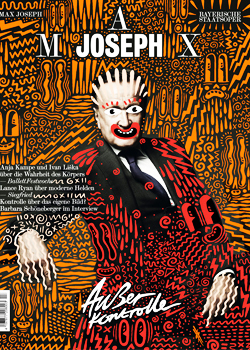 Hattie Stewart designed this cover for Bavarian Opera magazine Max Joseph.Bold and beautiful, this gorgeous piece is the work of illustrator Hattie Stewart. 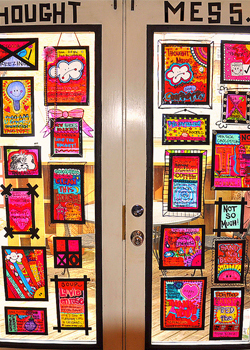 Artist Kristin Krause spent a month depicting her random thoughts through sketches to make this gorgeous homemade decor. We love the fun and playful mind of US-based artist Kristin Krause aka Eklektick. 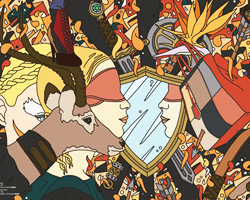 Flavio Melchiorre created this for a Japanese fashion magazine. Flavio Melchiorre, is an italian artist, award-winning designer, illustrator, painter and founder of creative design studio IDRO51. 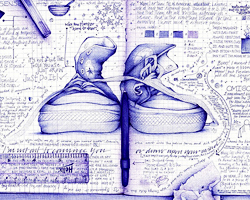 Andrea Joseph created this gorgeous illustration using only ballpoint pens and paper. Now this gorgeous illustration by Andrea Joseph takes us back to the days of school excercise book scribblings and random jottings. Johanna Bashford: wall of Vigo St Starbucks store in London. The unique doodling style from artist Johanna Basford managed to bag her this commission from international coffee company Starbucks. 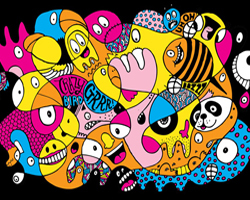 Jon Burgerman is best known for his colourful, fluid and playful creations and this one is no exception. 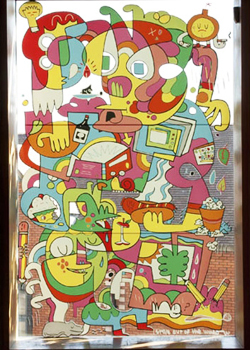 Titled 'I stare out of the window', Burgerman was commissioned to create this piece for one of the New Art Gallery Walsall's large-scale windows.